Prime Minister Narendra Modi got a rousing welcome from America’s top tech titans. 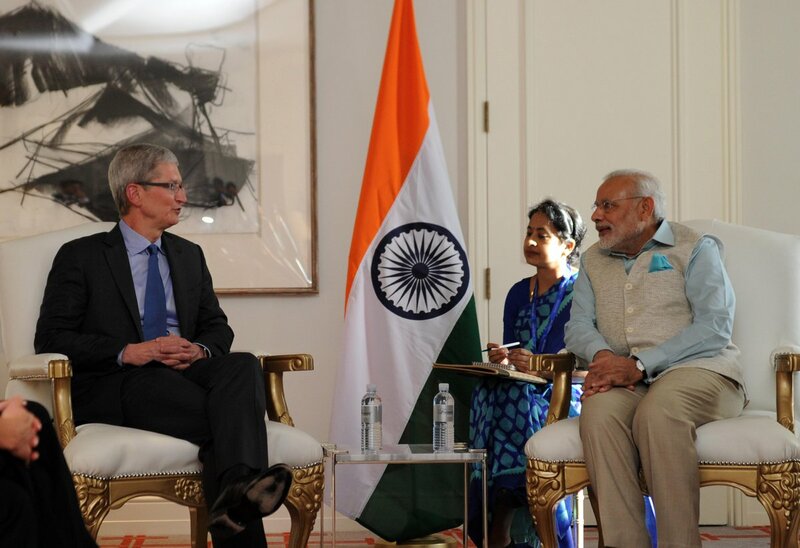 The Indian Prime Minister met who’s who of the tech world, including Apple CEO Tim Cook, Microsoft CEO Satya Nadella, Google CEO Sundar Pichai, Qualcomm executive chairman Paul Jacobs, Cisco executive chairman John Chambers and Adobe CEO Shantanu Narayen. Here are five key announcements made by IT giants during their meeting with the PM. * Chipmaker Qualcomm announced an India-specific $150 million venture capital fund for startups in the mobile and internet-of-everything (IoE) ecosystem. The fund will be set up by its venture arm, Qualcomm Ventures. * Microsoft CEO Satya Nadella said that the company will partner with the Indian government to bring lost-cost broadband technology to five lakh villages across India. * Microsoft will announce cloud computing systems from data centers in India next week. “We believe that lost-cost broadband connectivity coupled with the scale of cloud computing intelligence that can be harnessed from data can help drive creativity, efficiency and productivity across governments and businesses of all sizes,” the company’s first Indian-American CEO said.